Prenatal and Postnatal Yoga classes offer pregnant people and new parents an opportunity to practice yoga tailored to this special time in a community of peers. Classes enhance their enjoyment of pregnancy and new parenthood and normalize the physical and emotional changes they are experiencing. Prenatal and Postnatal Yoga teachers have the wonderful job of holding this space with knowledge, compassion and respect for the spectrum of choices and situations commonly faced during this time of life. The 8 Limbs Prenatal and Postnatal Yoga Teacher Training is designed to ground Registered Yoga Teachers with the information and experience to teach these yoga classes with confidence and safety. On even years (2018 and beyond) we will offer Yoga for the Perinatal Body, a weekend-long training for Registered Yoga Teachers to learn the basics for teaching yoga to pregnant and postpartum people. On odd years (2019 and beyond) we will offer our full Certification Training to become a Registered Prenatal Yoga Teacher (RPYT) is offered. Our full Certification Training is split into three 3-day Training Modules and a Practicum component. These segments may be taken in the order most convenient to the participant. All 200-hour Registered Yoga Teachers may attend any of the three modules. Those interested in becoming a Registered Prenatal Yoga Teacher must complete all Certification Completion Requirements (below). Prenatal Yoga Philosophy: What is our Purpose? In order to give enrollees the hours needed observing and teaching to become certified RPYTs (Registered Prenatal Yoga Teachers), we offer to Practicums each year for students to attend. The cost for each module is $380 if registered up to 2 weeks prior to the module start date, $400 after. Participants who complete all requirements will receive a Certificate of Completion from 8 Limbs Yoga Centers. They can then submit this Certificate to Yoga Alliance to receive RPYT status. Note: Space in Modules is limited to 18, space in Practicums is limited to 8. Register early to insure your space. Please contact us with any questions or to join the Prenatal Teacher Training email list. 8 Limbs is committed to increasing diversity, accessibility and safety in the Pacific Northwest’s yoga community. This includes a commitment to empowering a yoga teacher pool that is representative of the diversity in our area. As one part of these commitments, 8 Limbs offers partial scholarships to applicants of color, people who identify as LGBTQ+, and/or other under-represented groups. To apply for this scholarship please include a brief description of why you qualify with your application or enrollment. Retired and active duty military personnel receive a 20% discount on Teacher Training Tuition. Required and recommended books offered at 10% discount to training participants when purchased at 8 Limb. Yoga teachers, have you had the experience since you began teaching of having a pregnant person in your yoga class? Have you wondered how to best serve them as a student, and what was even safe to offer them? Or have you thought about becoming a prenatal or postnatal teacher? This weekend workshop is also a wonderful immersion for the pregnant student! Prenatal yoga is a steady offering in the yoga field for the support it can provide during labor and childbirth but also for addressing the common aches and pains that come with the changing body during the perinatal period. With more and more studies being released about the health benefits of yoga during pregnancy, as teachers you will start seeing more and more students in your classes. Through this training you will learn the basics of support for students during the perinatal period and how you can best work with them safely as a teacher. This 20-hour Perinatal Primer is the perfect beginning training to educate you in supporting pregnant and postpartum students in your classes and provide you enough training to step in and sub pre/postnatal classes at your studio. It’s also a great way to get your feet wet if you are on the fence about deciding whether to become a certified pre/postnatal teacher, or for those in the birthing community (doulas, midwives, childbirth educators) who are looking for more tools to support their clients. This workshop is open to the public but may also be taken as part of our 500-hour Teacher Training Program. 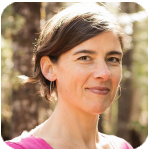 Anne Phyfe Palmer, RPYT, 500 E-RYT, is the founder and director of 8 Limbs Yoga Centers. Her passion for pregnancy and birth started in college in a Sociology of Women’s Health Course with one of the contributors to “Our Bodies Ourselves.” After taking a doula training with the Seattle Midwifery School, Anne Phyfe decided that teaching yoga to pregnant woman would be the best way for her to use the tools she learned. She completed the first prenatal yoga teacher training with Colette Crawford in 1998 and began to teach prenatal yoga soon thereafter. She has been recognized by both Seattle Met and Seattle Magazine as “Best” Prenatal and Postnatal Instructor in Seattle. She has two daughters, born in 2000 and 2006. 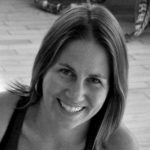 Megan Sloan, 500 hr E-RYT, RPYT, has been teaching Prenatal and Postnatal Yoga since 2009. She did her first training with 8 Limbs Yoga Centers as an exploration to deepen her studies as a yoga teacher which then blossomed into a passion for supporting mothers in empowering their experiences of pregnancy, childbirth and motherhood through the tools of yoga. She has since attended many births as a doula and has had the humbling opportunity to witness and support mamas in childbirth in a variety of settings from home births, to birth centers and hospital births. She currently teaches weekly prenatal yoga classes and offers regular Partner Prenatal Yoga Workshops. She also welcomed a daughter in 2017 and outside of the joys of new motherhood she also finds time to continue teaching through her business Be Strong Mama. 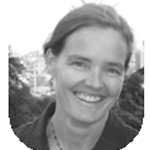 Susan Grote, PT, has been a physical therapist for 20 years and a yoga practitioner for 25. Susan’s natural aptitude for understanding structure and spacial design initially led her to study architecture. When she was introduced to yoga in 1990, she was immediately drawn to the depth of the mind-body practice and quickly realized she was more interested in working with the dynamic structure of the human body. Susan has developed a unique multi-faceted approach to helping others by integrating her physical therapy skills, her gift for understanding the architecture of the body, and her extensive knowledge of yoga, breathing, and movement. Susan holds a degree in Architecture (1988), 200-hour YTT certification, Iyengar style (1993), a degree in Physical therapy (2006), 200-hour and 500-hour YTT certification, Viniyoga style (2009, 2012). Susan has been teaching yoga since 1993 in a variety of settings. Awed by the birth experience, she was inspired to teach prenatal and postpartum yoga for 7 years. Currently, Susan is owner of Insight Physical Therapy and Yoga and offers a blend of personalized physical therapy and yoga instruction. She also serves as anatomy and therapeutics faculty for various 200 and 5–=hour yoga teacher trainings. Outside of work, she enjoys time spent with her husband and their 3 children (born 2000, 2001, and 2004). 8LYC will refund all money paid if the applicant is not accepted or if class is cancelled for any reason. 8LYC must refund all money paid if the applicant cancels within five business days (excluding Sundays and holidays) after the day their enrollment contract is signed or an initial payment is made, as long as the applicant has not begun training. 8LYC may retain an established registration fee equal to ten percent of the total tuition cost, or one hundred dollars, whichever is less, if the applicant cancels after the fifth business day after signing the contract or making an initial payment. A “registration fee” is any fee charged by a school to process student applications and establish a student record system. (c) When a student, without notice, fails to attend classes for thirty calendar days.